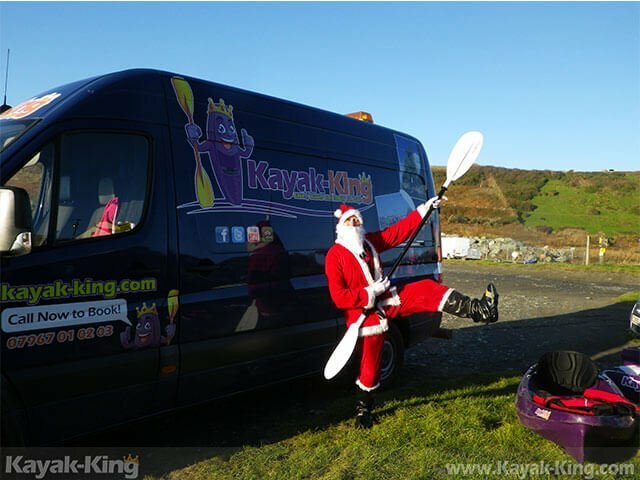 Christmas at Kayak-king - Father Christmas adventure in Pembrokeshire. 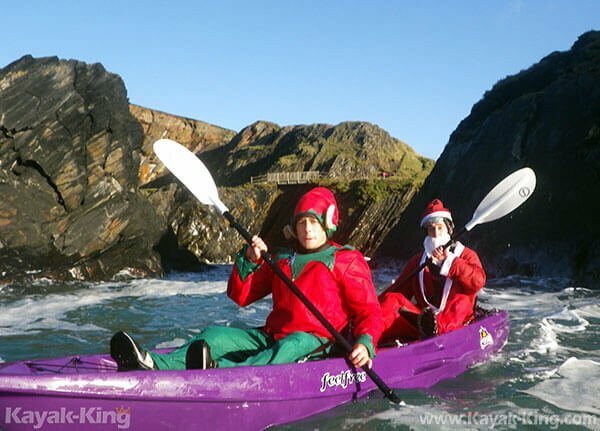 HomeUncategorizedFather Christmas Kayaking in Pembrokeshire. The Father Christmas we all know and love that big, jolly man in the red suit with a white beard doesn’t work all year around. In fact, many people are surprised to learn that he enjoys taking his elves out kayaking prior to the festive season. 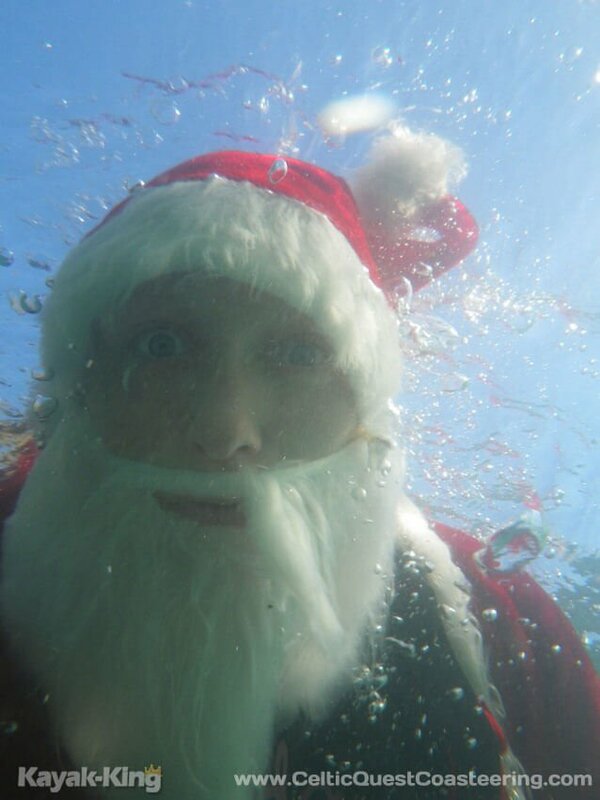 Get your Kayaking Gift Vouchers here! A perfect gift whether you’re buying for a loved one, friend, colleague, customer or even spoiling yourself. Using stable sit on top kayaks we will venture out along the Pembrokeshire coast exploring the coastline as you kayak beneath towering sea cliffs and into sun-dappled caves, looking out for seals and bird life along the way. Kayaking tours are accessible to all ages and abilities and are tailored to the needs and aspirations of the customers. A fantastic half day Kayaking experience on the coast at Lower Town Fishguard, Pembrokeshire, Wales. Santa is now ready to get back to the serious business of wrapping our presents for the festive season. Merry Christmas from the team at Kayak-King!